Henry Bear's Park formerly Eureka! 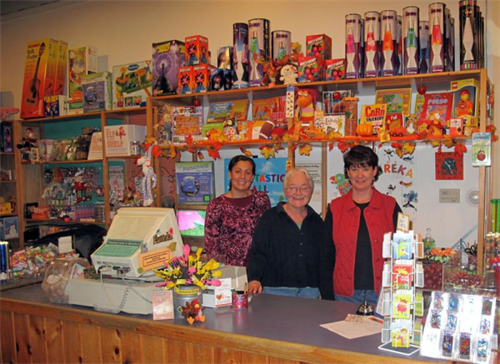 Located in Newburyport, Massachusetts, Eureka Toys is the area's most unique specialty toy store. We offer fun and exciting educational toys, books, and games for kids of all ages. The best way to see all we have to offer is to come browse our store. We are excited to announce that Eureka has been purchased by locally owned Henry Bear’s Park. The merger of our businesses means we can now offer you an even better selection of hand-picked toys from around the world! We are a locally owned, independent specialty toy store serving north-of-Boston area families. Through the merger of Eurkea Toys and Henry Bear’s Park, we now offer an even wider range of carefully selected toys and gifts! The store is still staffed by the same fun-loving people, and we always strive to provide a fun and positive shopping experience both in-store and on-line. Enjoy checking out our offerings of nostalgic classics and fresh, inspired new items in our store in the heart of Newburyport, Massachusetts. and on Sunday from 9 a.m. to 6 p.m.